Is there any doubt who is the hardest working man in not only radio, but in all of media. Sorry Tom Joyner, it's your senior contributor Roland Martin. Since his departure from 1690 WVON in Chicago last year, he's joined the TJMS, CNN, and TV One. 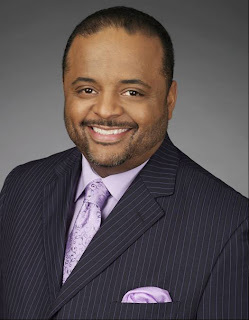 CNN Contributor Roland Martin will continue the discussion of Black In America 2 in an online streaming CNN Radio program that will be simulcasted on CNN.com/Live. Roland will get viewer reaction tomorrow Friday, July 24 from 9:05 a.m. to 10 a.m. (ET). Listeners and viewers can call CNN Radio at 877-266-4189. So apparently CNN Radio does more than just give hourly news updates, they do talk radio too. Who knew?